The 'Strikers' Rep teams represent The Huntsville Soccer Club and travel within our playing district to compete against other teams in their division. The 'Strikers' hold weekly practices beginning in the spring and games are from May to August/September. Teams will travel as far as Collingwood and Bradford (travel is dependent on the teams registered in each playing division). Indoor training during the off-season is offered for many of the divisions, to help improve skills and keep players active during the winter. See below for more details on our outdoor season and indoor winter training. Note: rep players on a development or festival team are required to also register/play in our House League soccer. Note: rep players on a recreational/competitive team can, but are not required to, play House League soccer. **If you have questions about our rep programs, please email rep@huntsvillesoccer.ca. This is the 4th year that the Huntsville Soccer Club has offered indoor training for our Rep teams during the off-season. This program aims to keep skills developing during the winter and will make our teams more competitive and successful in the upcoming outdoor season. Training is available is 2 sessions :November-January and February-April. Cost for each session is $50 or participants can register for both sessions at a cost of $90. Training shirts are provided. Participating in indoor training does not guarantee that the participant will be selected to be on the 2019 outdoor rep team. Tryouts and evaluations will be held in the late winter/early spring, and coaches will select their team. If there is a low turnout for tryouts due to a lack of interest from enough players in a division, it is possible that the division will be cancelled. There is a special bond created between a Coach and Players. Consider becoming a coach for a Rep Team. Rep Coaches require a higher level of training in order to participate in league games. All courses can be found through Ontario Soccer Association website click here. 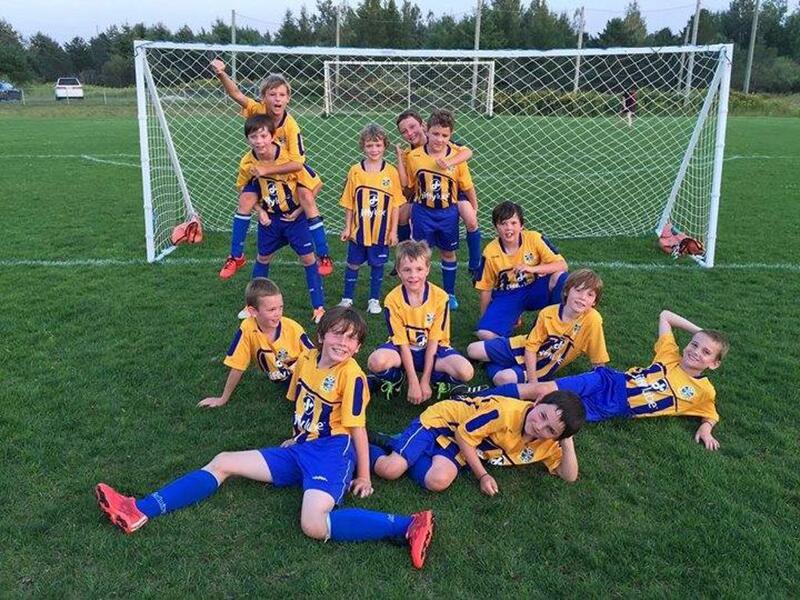 Strikers U10 Boys goofing off!